Nebraska gave up a bunch of yards on Saturday in its 43-36 win over Arkansas State. Maybe you heard. 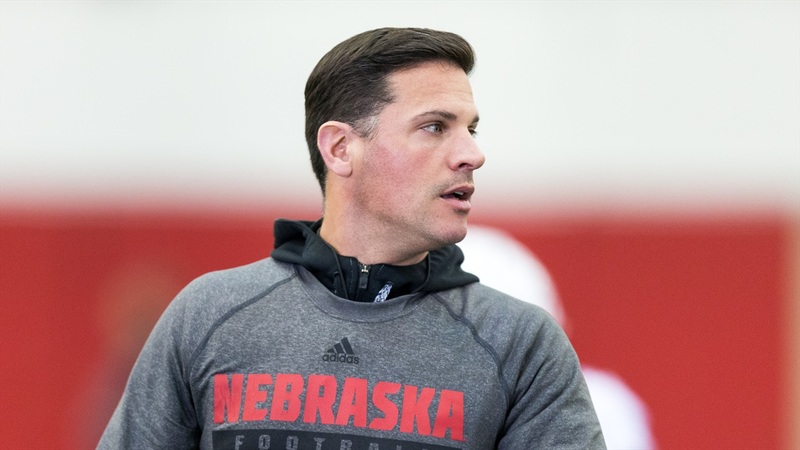 New defensive coordinator Bob Diaco seemed to hear at least some of the conversation around those numbers and addressed them following Monday’s practice. Against the Red Wolves, that plan called for the Huskers to live with short passes in hopes of preventing longer ones. Arkansas State quarterback Justice Hansen threw 68 times for 415 yards. The latter total ranked fourth nationally. His 6.1 yards per attempt? That ranked 87th. Diaco said Nebraska did a “wonderful job” executing the plan. After giving up 26 points in the first half – including nine not allowed by the defense and another scoring drive kept alive by a third-down stop wiped out by a penalty – Nebraska held Arkansas State to just a field goal in the second half until the Red Wolves’ final touchdown with 46 seconds remaining. Arkansas State recovered the ensuing onside kick and Nebraska was forced to make a defensive stop to pull out the win. “It didn’t need to be as exciting as it was down the stretch,” Diaco said. But the suddenly stressful situation could offers some benefits as the Huskers move through the season. “It’s great when you can be put in stress situations and come out on top,” Bray said. “We got put in probably every situation in football the other night: kickoff after a safety, a safety of our own, having to rebound after a touchdown on special teams, being put out there after a recovered onside kick, having to win the game on defense. >>As fellow coaches in Conference USA, Diaco and new Oregon head coach Willie Taggart squared off three times between 2014 and 2016, which should make the schematic chess match interesting on Saturday. One thing Diaco’s expecting plenty of this week — the run. The Ducks rushed 52 times for 6.69 yards per carry in their 77-21 season-opening win over Southern Utah. As the head coach at South Florida, Taggart got the best of Diaco’s Connecticut team twice, winning 42-27 in 2016 and 17-14 in 2014. The Huskies took the middle game 28-20. >>Diaco’s familiarity with Taggart could be a benefit to Nebraska this week. So could facing the Arkansas State attack last week, which shares some similarities with what Oregon will do. That said, don’t expect to see the same game plan from Nebraska this week. 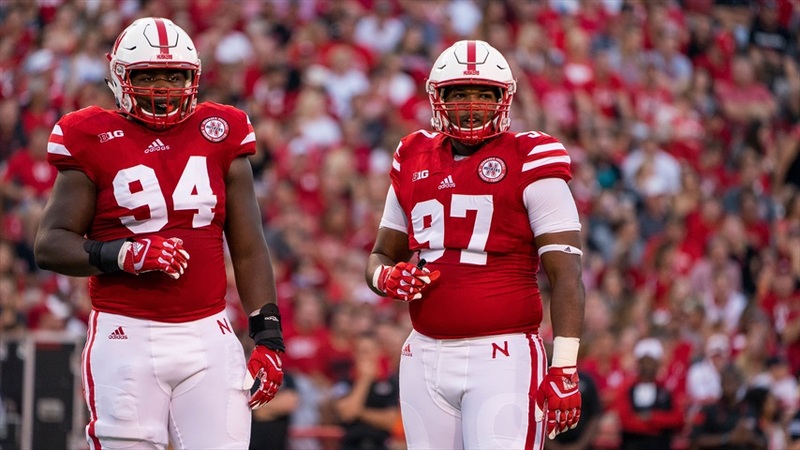 True freshman defensive tackle Deontre Thomas (97) had three assisted tackles in his Husker debut. >>True freshman defensive tackle Deontre Thomas was on the field for the Huskers in crunch time on Saturday, which Diaco said was an indication of his maturity as a player. It’s been a common refrain in Thomas’ few months on campus. Of course, first games are rarely perfect. Thomas assisted on three tackles in the opener. >>Safety Aaron Williams may have made one of the hidden plays of the game, jarring a touchdown catch lose at the last second early in the fourth quarter. The Red Wolves were forced to settle for a field goal on the drive, leaving Nebraska with a 41-29 lead. >>Bray was spotted doing up-downs with a group of players following practice. Why? "That's top secret," he said.